Use your slow cooker and a blender to turn dried chickpeas into a hummus with tahini, lemon juice, and garlic. 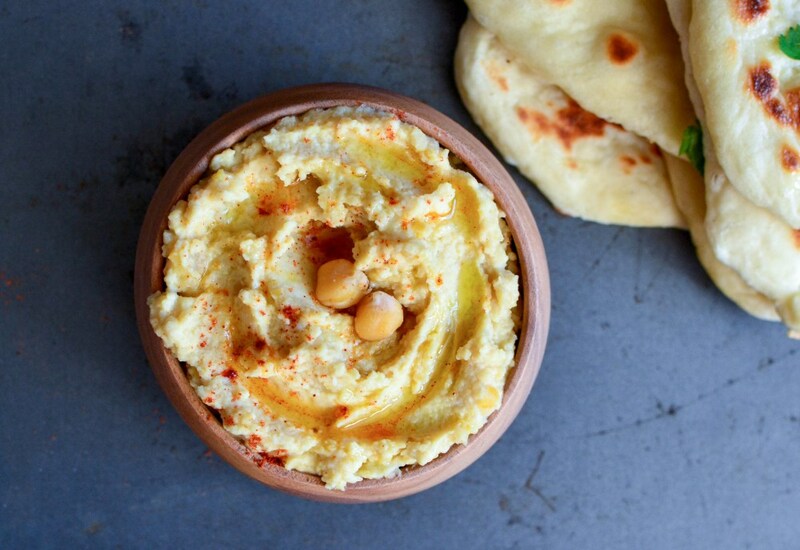 Hummus can be served warm, immediately after finishing. Otherwise, refrigerated until chilled. Serve this dish with flatbread, chips, or vegetables. Homemade hummus also makes a fantastic sandwich spread. Per Serving: 188 calories; 14g fat; 12.5g carbohydrates; 5g protein; 0mg cholesterol; 439mg sodium. Never knew I could make hummus in a slow cooker! This is a classic hummus recipe, very tasty. Depending on how smooth you want it, you can add a little extra water. Solid recipe. This hummus was really good. I made it with naan bread and used it for dipping. I won't ever eat store bought hummus again. This taste like the restaurant version, so good. First time making hummus in the slow cooker. Delicious flavor, the measurements were perfect. I know you're supposed to chill the hummus but I actually really like it warm. Very good. My husband has served a few tours overseas and this is one of his favorite snacks. I decided to learn how to make it and found this recipe. Super easy and tasted amazing with some warm naan bread.